The service was excellent in-store and out. The quality of the dishwasher was very good, and they installed it. They were prompt, on time, and they did a very good job. The area where they worked was clean. I would absolutely recommend them. The service and the people were very accommodating and knowledgeable. They took care of me. Their showroom is very well organized, nice, and clean. Their sales staff is very professional and knowledgeable. I liked everything about them. They always treat me really well when I go there. I heard about them from another customer and was very impressed by the quality, knowledge, and expertise given by their service department. Carlos came out and did everything professionally. He knew how to do the repair work competently. He knew what the problem was and showed me step by step what he was doing and why. He really knew how to take care of the problem efficiently. I was very satisfied. I liked the repairman's good personality and his willingness to show me what he was doing. I liked that he was so helpful, and he saved me a lot of money by being able to do the repairs that were needed. 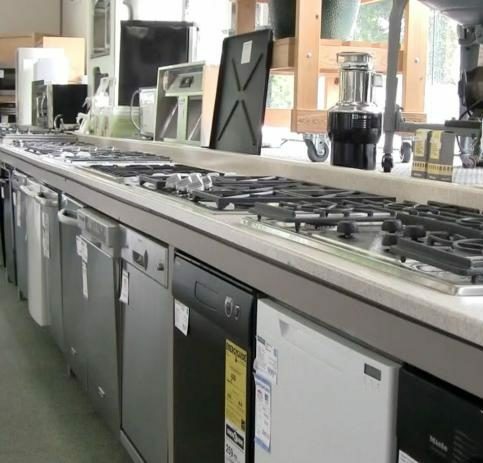 Asien’s Appliance has been proudly serving Sonoma County and beyond for 70 years. 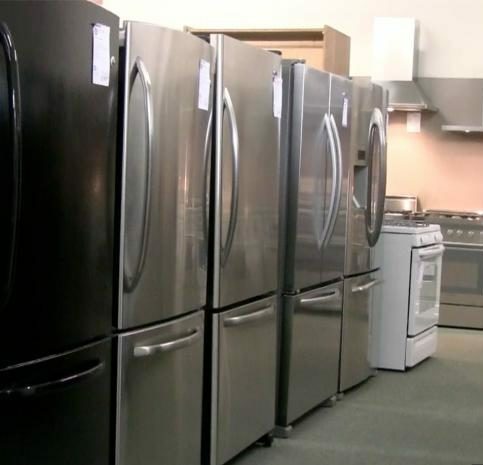 The company provides a wide variety of appliance services, including sales, delivery/ installation, in-home service and repair, extended warranties, and financing. 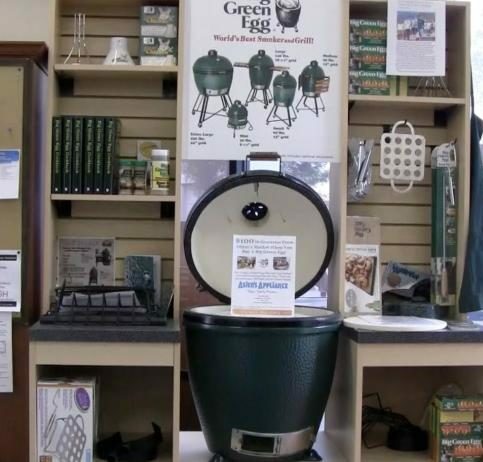 Asien’s Appliance takes pride in offering each customer a highly experienced staff, low prices and personalized service, whether they’re replacing old appliances, adding new appliances or creating a backyard oasis with quality outdoor kitchen products. 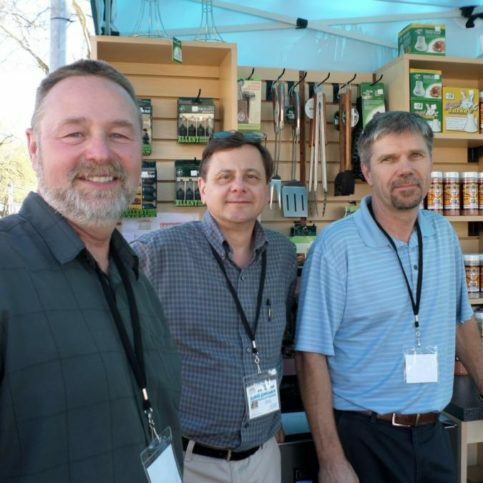 Asien’s Appliance has been serving North Bay customers since 1948, when John “Frenchy” Asien first opened its doors. Current owner Chris Wilhelmsen is a longtime Sonoma County resident. Mr. Wilhelmsen joined the company after merging his company, Appliance Solutions, with Asien’s in 2004. DIAMOND CERTIFIED RESEARCHED CAPABILITIES ON Asien’s Appliance, Inc.
Company Name: Asien’s Appliance, Inc.
DIAMOND CERTIFIED RESEARCHED ARTICLES ON Asien’s Appliance, Inc.
Asien’s Appliance provides a variety of appliance services at its Santa Rosa showroom, including sales, delivery/installation, service and repair, extended warranties, and Brand Source financing. 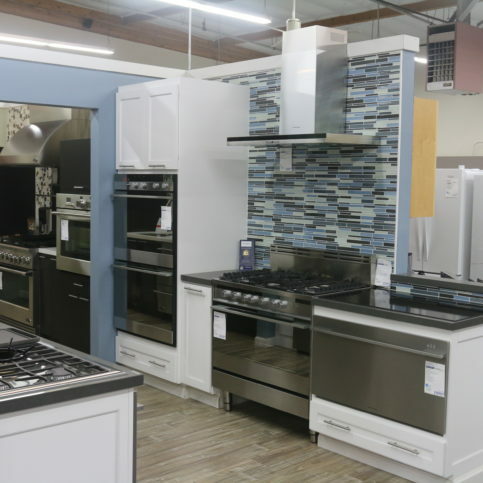 The company also offers in-home appliance service and repair services to customers throughout Sonoma County, and it’s qualified to work on a wide range of leading brands, including KitchenAid, Maytag, General Electric, Hotpoint, Viking and Sub Zero. Built-in beverage center. This extra space by the refrigerator door uses cold air from the freezer to chill beverages. Fridge drawers. These are designed to expand space for refrigerated items, but their versatility allows them to be installed anywhere in a kitchen, and they come with special features like fruit baskets and wine holders. Dry-erase door panels. These are good options for homeowners with children. The panels are covered top to bottom with a white, dry-erase surface that allows for easy writing and erasing. Removable digital frames. These allow you to display photos without using magnets and feature “Fast Fill” technology that ensures a cool exterior. The interchangeable interface lets you plug in a DVD/CD player, digital photo album or MP3 player. Q: Do you deliver and install the appliances you sell? A: Yes. We offer delivery and installation services Monday through Friday from 8am to 5pm. Every person on our installation crew is certified by the manufacturers of the products we sell. Q: What kind of time window do you give for deliveries? A: We give a four-hour window, plus we have a ‘first delivery’ option, which means you’re guaranteed to be the first delivery of the day. For later deliveries, we’ll always meet that four-hour window, but the exact time will depend on the progress of earlier deliveries. Regardless, we’ll always call 15 minutes before arriving so you know when to expect us. Q: Can you remove my old appliance after installing the new one? A: Yes, appliance removal is included in our regular delivery service. A: Unfortunately, no. If you have a problem with an appliance, we can schedule you for the next available service window. If it’s a refrigerator, we’ll do everything we can to get there that same day, but we can’t guarantee it. Q: Can you convert electrical appliances to natural gas or propane? A: Yes. Many of the higher-end appliances we sell have natural gas or propane models, but we can also convert an appliance if that’s the only option. 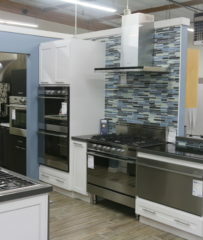 SELECTED PHOTOS FROM Asien’s Appliance, Inc. 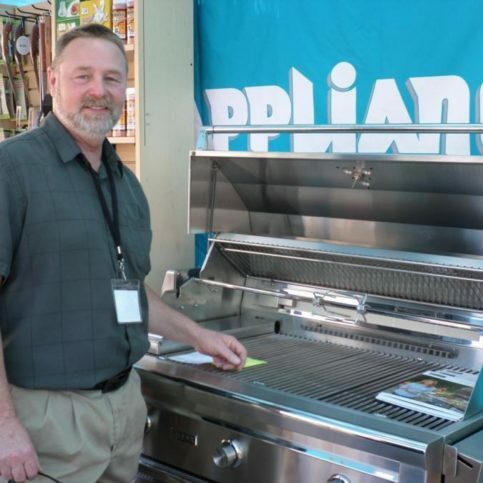 Owner Paul Gwilliam stands with one of Asien Appliance’s latest grill products. Paul Gwilliam is a longtime veteran of the home appliance industry and owner of Asien’s Appliance, Inc., a Diamond Certified company since 2002. He can be reached at (707) 874-8923 or by email. A: Summer—there are more opportunities to do the things I love, like boating, RVing and barbecuing. Q: If you could fluently speak any foreign language, what would you choose? A: Probably Spanish—it would be both fun and useful. Power requirements/specifications: Besides deciding between gas- and electric-powered appliances, you’ll need to assess the power requirements and specifications of the appliances you select. For instance, if you plan to have gas appliances, will they run on natural gas or liquid propane? Or, if you plan to have electric appliances, will they require 110 volts of power or 220 volts. Water connections: You’ll also need to consider which appliances require connections to water. Obviously, your dishwater will need one, but you’ll need additional connections if your refrigerator has a water dispenser or icemaker. 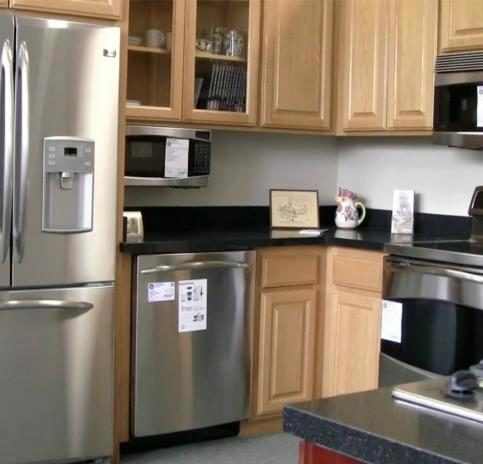 Placement: Make sure the placement of appliances is correct in regard to their required utility connections. You don’t want to have to install your appliances a second time because they ended up in the wrong spot. SANTA ROSA — Host, Sarah Rutan: When shopping for new appliances during a kitchen remodel, it’s important to consider your options in terms of utilities. To learn more, we’re in Santa Rosa with Todd Till, sales manager at Asien’s Appliance, speaking on behalf of Diamond Certified Expert Contributor Paul Gwilliam. Todd Till: Some of the things to consider when you’re doing a kitchen remodel are utilities. The most important thing to know is what types of utilities you’re going to use. If you’re going to have gas appliances, are they going to be natural gas or are they going to be liquid propane? If you’re having electric appliances, will they be 110 volt or 220 volt? 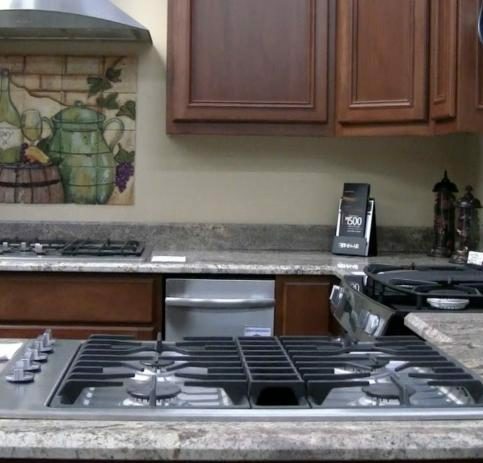 What types of water will you need for your appliances? Obviously you have a dishwasher; you need water to that. And will your refrigerator need water for an ice line or an ice maker? Also, it’s important to know where those utilities need to be placed either in your cabinets or in the walls. So, confer with the manufacturer’s spec sheets to make sure that those are in the right spot. We don’t want to go back out and have to install your appliances a second time because they’re in the wrong spot. You want everything to be seamless. SANTA ROSA – Host, Sarah Rutan: If you’re planning to do your own home appliance repair, don’t forget to follow a simple yet often-overlooked rule. To learn more, we’re in Santa Rosa with Vernon Weerts, service manager at Asien’s Appliance, speaking on behalf of Diamond Certified Expert Contributor Paul Gwilliam. Vernon Weerts: So, for all you do-it-yourselfers out there that are trying to fix one of your appliances at home, just a helpful reminder is to make sure that you turn the power off to your machine. Say you’re replacing the bake element on your oven, make sure you turn the power off or turn it off at the breaker because there still is electricity going to that machine. So, just a helpful hint from Vernon down here at Asien’s Appliance. Diamond Certified RATINGS ON Asien’s Appliance, Inc.
Asien’s Appliance, Inc. : Average 8.9 out of 10 based on 434 unique customer surveys of customer satisfaction. I thought they were very professional. They had a good selection of what I was looking for. I would tell other to visit them. We had a good experience. They were okay. They were late on the delivery and had a problem installing it, but that was expected. They got the job done, and I love our new appliances. They have a great selection, as well. They got everything set up. I was worried it wasn't going to work. I thought they were good. I didn't spend much time there, because I knew exactly what I wanted. I guess they did a good job. They got everything delivered and hooked up. My neighbor had to make some adjustments for me on one of the units. They are a long time Santa Rosa business, so they are good, local people. I guess their customer service was great. I was on the phone being helped for a rental property in the area. They were very good. The product was great and the company is great. The "10" I rated them was for both the product and company together. I would use them again if I still lived in California, but I moved to Ohio. The guy who helped was really helpful. 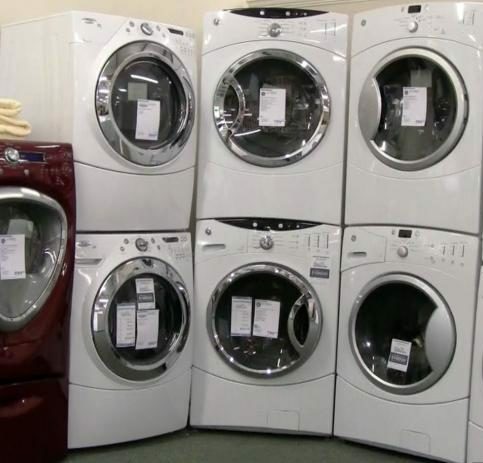 I was going to buy an older model, but he sold me the new one, because of the new agitator that was in the washer, plu,s he had better reviews on the newest model. The ease of purchase, I recently bought a home, which was about 2 hours away in rural area, and they were the only one who had the items in stock for me to take that same day. They got me in and out within 10-15 minutes. They were very knowledgeable and had some great pricing, including everything that was in stock and quick delivery too. They have higher end brands in house. Go there. They are great. I think the whole thing is done well. They were great, good selection. I thought the employees in the showroom were very professional, knowledgeable, and gave us some promotional discounts automatically. They were so nice. I thought they gave me a decent deal. I'm very satisfied with the product. They did a good job with the installation, and nothing was damaged. They didn't damage anything when installing it. They were really good. They allowed us to stay for quite sometime with one of their sales people to get a good feel for each brand and their features. They were able to get us some cash back on a model that fit our needs and looked great. They were very informative with each brand, each specific model within each brand series. The repairman had a good sense of humor and fixed the problem. I thought they did a great job. They got everything done within a reasonable amount of time. Nothing specific, I mean they fixed my problem. They were very friendly and informative. I was able to get the information that I needed. I liked that they were able to get me the information that I needed to make a good decision. They are responsive, clean, and do good work. The work was done at a summer cabin out in the sticks, and there are many stairs. We bought a washer, dryer, and refrigerator. Some places wont do deliveries to places with that many stairs, but they did, and they did it well.